For most people, listing their house for sale is not a spur of the moment thing. People often think about selling their house for years before ever actually selling it. 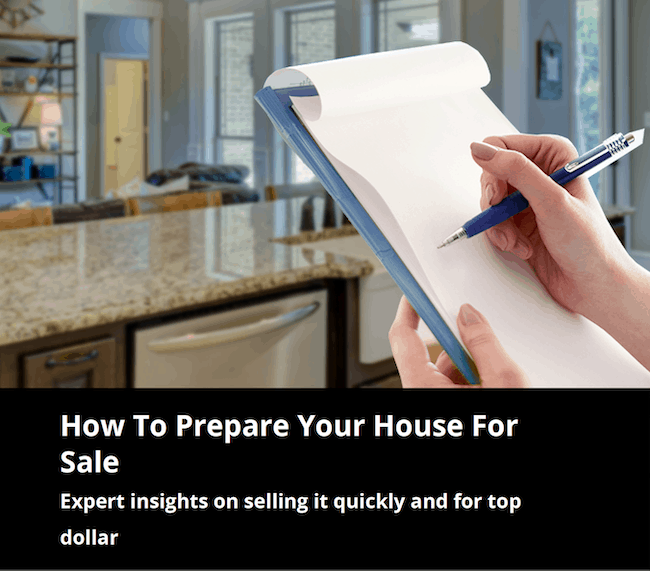 Yet many people don’t do enough to prepare their house for sale (or prepare themselves for what’s to come). That’s why we have created this booklet about preparing your home for sale. Whether you’re preparing to sell your house in the next couple of weeks or months, we want you to have our booklet on preparing your home for sale. This 25 page booklet will provide useful information to everyone thinking of wanting to get their home on the market. It’s free and there’s no obligation. We want you to be prepared when making a decision to sell your home. All you have to do is ask and we will get one to you. Call us, email us, or fill in the request below. Finally, I’d love the chance to work with you. Just give me a call before you’re ready to sell so I can help you prepare your house for sale…not just get it sold for you! Thanks again for requesting a copy of this booklet, and I hope to hear from you soon!